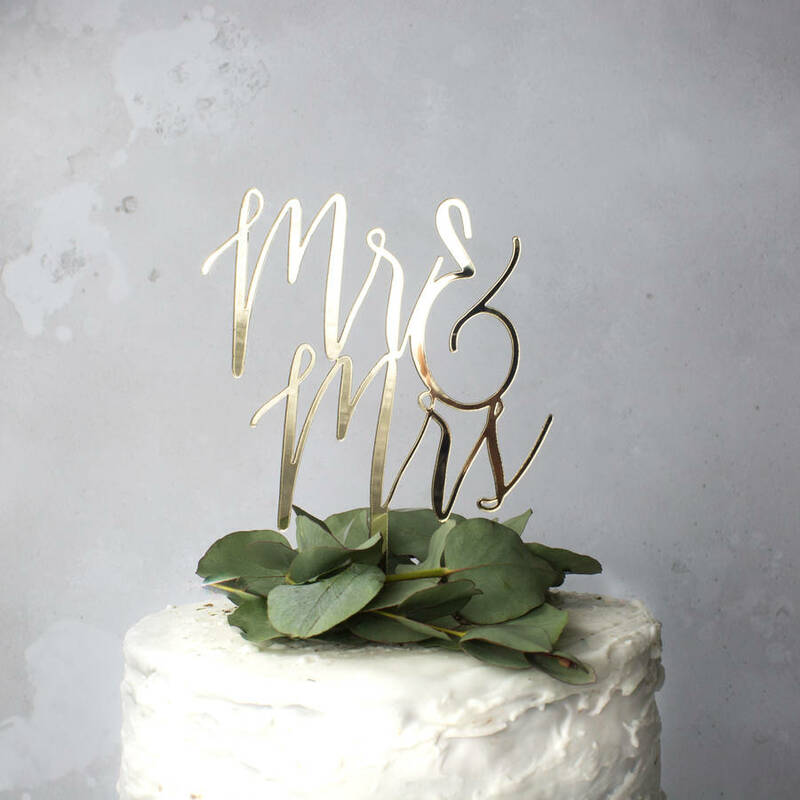 Our stunning 'Mr & Mrs' wedding cake topper is the perfect calligraphy cake topper to adorn your wedding cake. Choose from Mr and Mrs, Mrs and Mrs and Mr and Mrs - this cake topper is gay wedding friendly! Now available in rose gold.